For the last several weeks, a slew of new details have emerged regarding Obsidian’s The Outer Worlds. One specific, highly-anticipated bit of information remains under wraps, however. The role-playing game still lacks a release date. Yet, thanks to a leak via Steam Database, the launch date may have been leaked. If the leak proves true, players should expect to begin exploring The Outer Worlds by August 6, 2019. The date initially appeared on the game’s official Steam Database entry on February 22nd. Within a day or so, however, the entry received an update. Now, The Outer Worlds release date listing features only a note about 2019 in general. Despite this, in looking at the entry’s “change history,” the August 6th date still appears as a “Removed Steam Release Date” note. You can see parts of The Outer Worlds’ Steam Database update history in the screenshot below. Pay special attention to the last featured entry. Of course, until Obsidian or publisher Private Division announce official details, this listing should be considered rumor. Still, a late summer launch for The Outer Worlds would be a smart, tactical move. It’s far enough from the numerous spring releases to stand on its own. In addition, there’s plenty of space between the fall rush of games to give Obsidian’s latest a chance to breathe. Lately, Steam Database has seemed a haven for leaks. Mortal Kombat 11’s potentially leaked roster of fighters serves as the most recent example of note. Similar to The Outer Worlds release date details, MK11’s supposed roster information should be taken with a grain of salt. 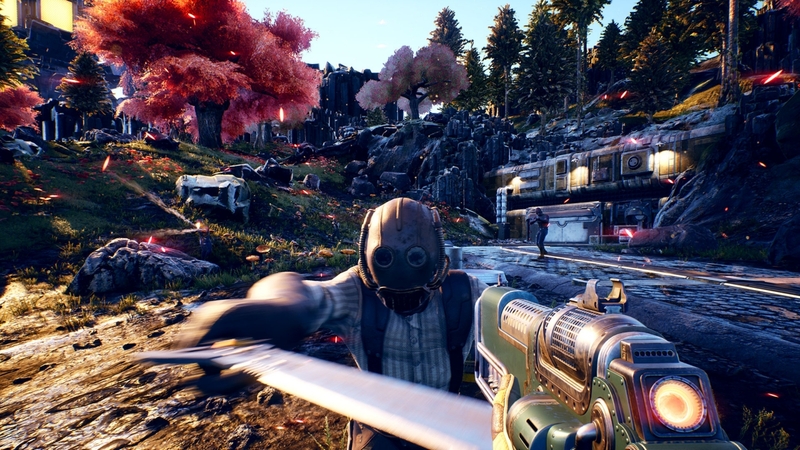 Regardless of whether it launches in early August, The Outer Worlds is expected to hit the PlayStation 4, PC, and Xbox One sometime in 2019.